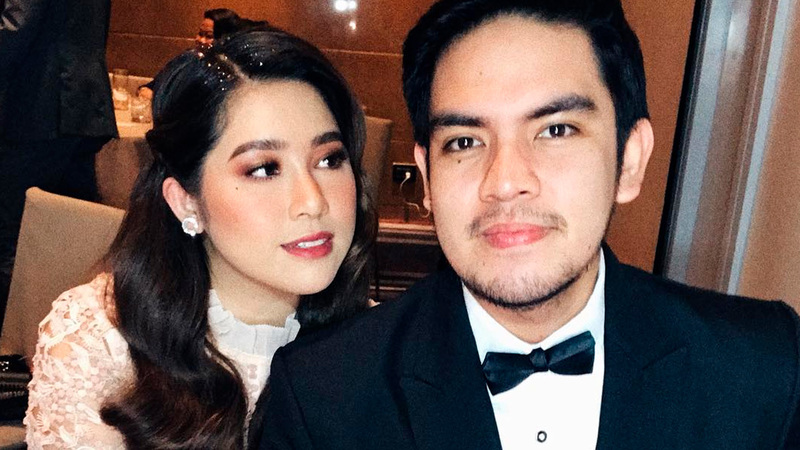 25-year-old singer-songwriter Moira Dela Torre will be getting married to her fiancé Jason Marvin Hernandez today, January 14! The couple got engaged in April 2018 (Jason proposed to her while on-set filming the music video of Tagpuan). Moira had the best bridal shower last week with her besties, and during a duet performance on ASAP, Moira told Jason, “I love you and I can’t wait to kiss you." During their interview on Magandang Buhay on January 11, Moira and Jason revealed that they already had their civil wedding a few days before. Since the pastor who was officiating their wedding only had an Australian license, they got all the "official" stuff—such as signing papers—out of the way! Their first kiss is a really big deal for the couple because Jason made a promise to Moira's dad that they would have their first kiss on the wedding day itself (that's today)! But why didn't they do it during their "first" wedding? "Technically, pwede naman po na sa civil wedding [yung first kiss]. But, ayaw naman sana namin na sa city hall," Moira shared. For their guesting on Tonight With Boy Abunda earlier this month, Moira even said that she would sometimes cry because she wanted to kiss Jason so much! "Dalawang taon na po kasi, Tito Boy, medyo matagal na yung paghihintay!"